Fans will get a special look into Star Trek: Deep Space Nine as the new documentary - "What We Left Behind: Looking Back at Star Trek: Deep Space Nine" - arrives in movie theaters across the country for one night only on May 13, 2019. The film presents a fascinating in-depth look at the past, present and future of a series whose dark, edgy take on Gene Roddenberry's vision was often misunderstood when it premiered but has grown into a beloved mainstay in the Star Trek franchise. Featuring extensive new interviews with the cast and crew of Star Trek: Deep Space Nine as well as newly remastered HD footage from the television series, "What We Left Behind" also focuses on the original writers of the series as they craft a brand-new episode of Star Trek: Deep Space Nine, developing what would be the eighth-season premiere if the show were to return to the air today. Fathom Events, Shout! Studios, 455 Films and Tuxedo Productions bring this event to more than 800 movie theaters nationwide on Monday, May 13, at 7:00 p.m. local time, through Fathom's Digital Broadcast Network (DBN). A complete list of theater locations will be available April 12 on the Fathom Events website (theaters and participants are subject to change). "When Dave Zappone asked me if I wanted to make a documentary about Deep Space Nine, my first reaction was, 'What is there left to say about Deep Space Nine?' Well, William Faulkner once wrote, 'The past is never dead. It's not even past.' The cast, crew and fans have a lot to say about Deep Space Nine. What We Left Behind is their story; it's my story, too. Turns out William Faulkner was a very wise man," said Ira Steven Behr. "A point of pride for Fathom Events is our ability to give fans cinema experiences that enhance their understanding and enjoyment of the original programming they love," said Fathom Events CEO Ray Nutt. "'What We Left Behind' will take Trekkers' passion for the series one step further." 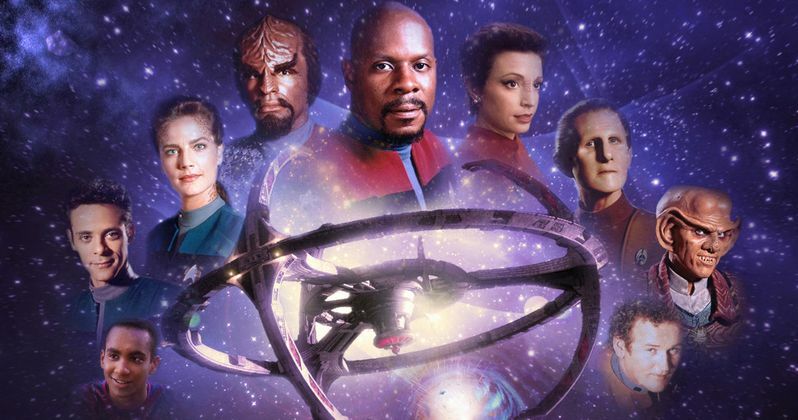 Tickets for "What We Left Behind: Looking Back at Star Trek: Deep Space Nine" can be purchased beginning Friday, April 12 at www.FathomEvents.com and participating theater box offices.